To contribute to research and development of the national design and art fields by keeping in mind our historically cultural traditions in witnessing the contemporary innovative discoveries. To establish a school of design, where one can be guided to see and to interpret all forms of design and art with a unique point of view that will enhance beauty in every day life inspiring to work hard on realization of the goals and dreams. To gather a design community that will preserve multi-cultural traditions while discovering innovative, positive and unique ideas. To participate in the evolution of design and art not only nationally, but also internationally. To influence the young designers of our country to create work that inspires goodness and virtue through visual communication. The crescent of our emblem symbolizes our design and art culture; the pigeon represents the Turkish designer looking beyond the horizon in search of inspiration to create work that is also useful to the humanity. The Ensar foundation was established in 1979 and continues to operate in several fields to achieve its goal to contribute into the academic, intellectual and ethical development of our people. Currently our foundation serves with its numerous branches throughout Turkey by specializing at the subjects of “religion and ethics education” and “values education” and to provide more efficient service in this field with higher quality on a national and international levels. - the Istanbul Design Center with the goal to raise awareness and to contribute in the area of traditional and modern aesthetic training in art and design disciplines. One of the issues that the Islamic World is facing due to certain conditions in the last century: is being away from the art and aesthetics, which resulted thereof with inability to adequately contribute and to feed the aesthetic senses in such fields as architecture, cinema, design and art. The Istanbul Design Center is carrying all the aesthetic wealth of history into our days, which makes it unique with its original touch in the modern world. With its mission to contribute innovation into the art and design, the Istanbul Design Center is a colorful window of the Ensar Foundation that is also appealing to the eyes and the hearts. It is no coincidence for us that the Istanbul Design Center is located in Sultanahmet district of Istanbul, where history meets art and aesthetics meet souls. This very fact is a sign for us that the conception of art and civilization for us should be shaped by an inspiration of enormous legacy. And the Istanbul Design Center demonstrates the awareness of its heritage with elegance and grace carried by its historical texture and with its activities. The Istanbul Design Center (IDC) is one of the organizations of the Ensar Foundation, which was established in 2008 with the aim to be a place of education and activities in the fields of design and art. 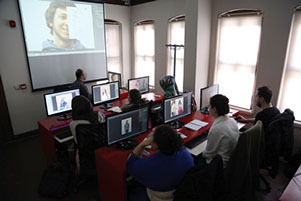 The IDC’s main goal is to provide education with a distinct academic approach to design and art in our country by offering programs in relevant disciplines such as Architecture and Urban Planning, Graphic Design, Jewellery and Accessories Design, Photography, Cinema, Traditional Turkish Arts and Visual Communication. 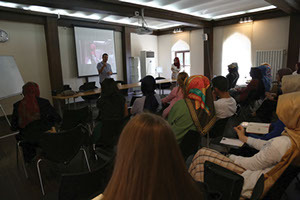 Besides the curriculum program for the registered students, the IDC also organizes educational workshops, seminars, screenings, exhibitions and activities in international collaborations. The Istanbul Design Center offers educational courses within following departments for anyone who wishes to pursue further higher education in relevant fields of study and personal interest. The seminar presenters are either academicians with specialisation in their field; or designers, artists, philosophers, writers who had made their mark with successful works in their discipline. The IDC is located in Sultanahmet - one of the historically most important areas of Istanbul, where original architecture and timeless atmosphere can still be seen. 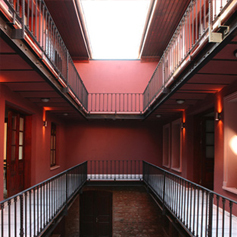 The historical building of the IDC also has a space suitable for exhibitions. Click here to view the exhibitions hosted in the past. The IDC is also a meeting ‘point’ for students, academicians,artists, and designers for the networking and growth in their professional lives. The workshops offer maximum opportunity for participants to get acquainted with individuals and entities engaged in disciplines relevant to design such as: architectural, industrial, fashion, graphic, jewellery, film, and illustration. The workshops also cover subjects on social sciences of history, sociology and philosophy. Click here to view the workshops hosted in the past. The current building of the IDC is used to be historically known as the Buhara Özbekler Tekkesi (Bukharan Uzbeks Dervish Lodge). Constructed in 1692 as the residence for the members of the Nakhshbandi sufi order that had arrived from the Turkestan in 17th c. Also known as a gathering place for the dervishes from Turkestan, who before their pilgrimage to Hajj had dutifully used to stop by in Istanbul to visit the mausoleaum of Eyup Sultan (known as one of the companions of the Prophet Muhammad), and to visit the Ottoman Sultan the Caliph of the Islamic World. The building structure was commissioned by the Treasurer Ismail Bey in 1692. The traditional plan draws attention to its western and eastern fusion of construction techniques with some details from the Ottoman architectural style. Especially the main facade of the structure exhibits the unique minaret, which is set above the main entrance - a rare occurance in the Turkish or even in Islamic architecture. In 1887, the building structure was entirely renovated by order of the Sultan Abulhamid II. In 1965 the wooden roof was destroyed in the fire and until our days the building was barely surviving in ruins. 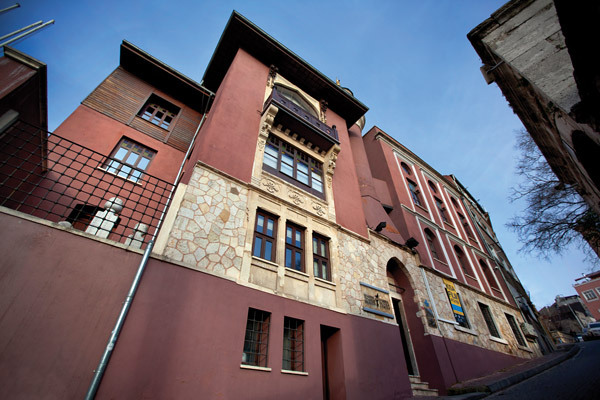 Decades later the Istanbul Metropolitan Municipality began renovating the lodge in 2006 and it was officially opened to the public as the Istanbul Design Center in 2008.